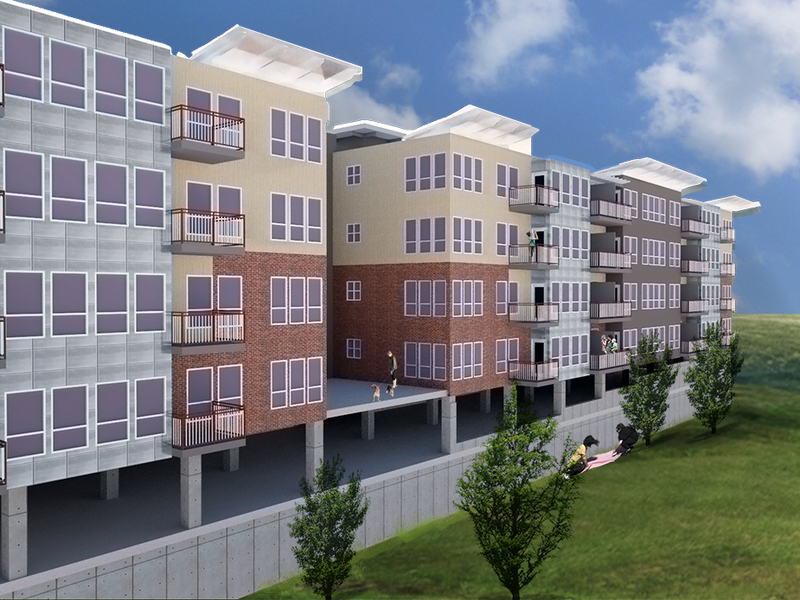 Partnering with James Read Associates, TRA designed this 76 unit, 2 tower apartment building on the levee in Dayton, KY with magnificent river views. The building sits just behind the newly reconstructed levee. 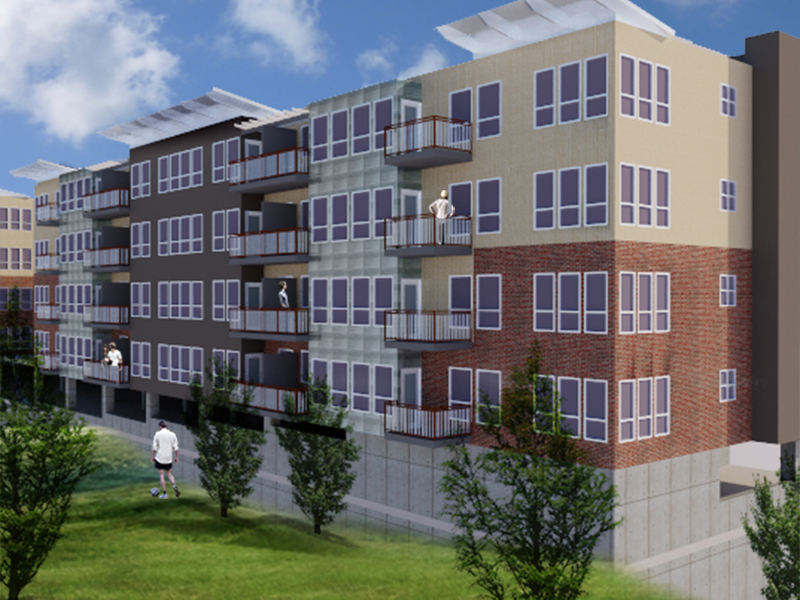 It consists of 2 floors of concrete parking block, with 4 floors of luxury apartments above, as well as amenity spaces such as an exercise room, fellowship room, a rooftop deck, and bridge connection to the levee/river.